I'm a sucker for bows. Always have been, always will be. I like them on clothes, shoes, bags, you name it. 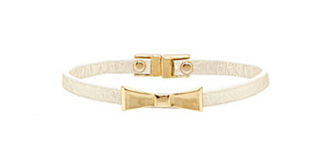 But today we're looking at bows on bracelets. 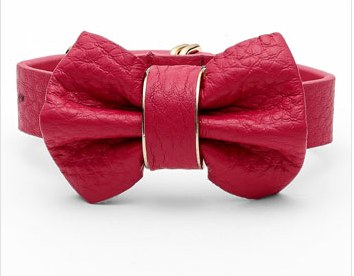 Of course when we talk about bows, we have to start off with the girl herself, Miss Kate Spade. This is so much fun and so different. I would layer this with a gold watch and bangle. 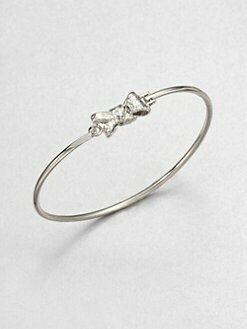 The nice thing about this bangle is that you don't have to bruise your wrist trying to slide it on. This one has a hook and hinge closure. Leather and bows. Now we're talking ladies. And it comes in four colors. So how are you wearing bows lately? Simple and sweet or bigger and bolder? Try out these bracelets with your next arm party. 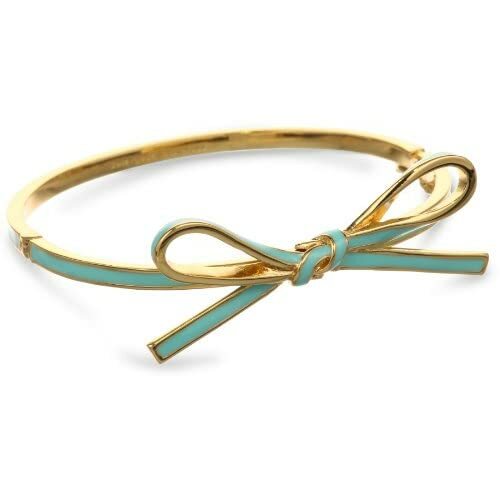 I've been obsessed with that Kate Spade bangle! Loving all these options girly.